In the old days, if you wanted to find out any information on a certain river, you either had to drive to the destination and look for yourself or call a fly shop and hope that the information you receive is correct. Many times, especially on the Yellowstone, we would drive upstream to find dirty water and then have to double back downstream far enough to give us enough clean water to fish a full day. With multiple rivers in our area, it is difficult to keep up with what is happening on all of them at the same time. This is where technology comes in to help. On the Yellowstone River there is now two web cameras that point to the river, separated by about 30 miles. You can go online and look at these web cams and get an idea of water quality and flows. Now this is not a perfect solution because the cameras don’t work at night and other times the sun causes too much glare. But it is sure nice to open the computer in the morning and get a good sense of what is happening on the Yellowstone River. These days just about everyone has a cell phone. Most have smart phones with a variety of apps that link you to social media, banks, local weather and news. 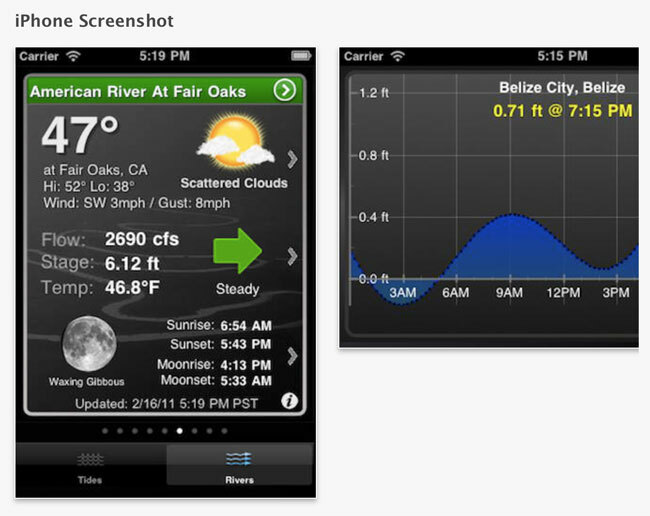 There have been specific apps developed that will also give you vital information on weather stations set up on any river, stream or ocean. I use an app called FishHead for my Apple phone. I have over a dozen different rivers and streams loaded up. I can quickly flip through any specific river and see the weather for the day, flows for the past 10 days, and moon/sun phases. Many rivers in our area have a multitude of different gauging stations (places where computers measure the flows) and you can check the rivers near their headwaters, and in the middle and lower sections of the rivers. This is important information that you can use to find what you need without driving all over the place or bothering that fly shop kid who lacks patience from spending the entire morning answering the phone with a short and abrupt answer, “The Yellowstone has mud coming down all the way through town.” Click. This technology is not a crystal ball of where the fishing is going to be best and exactly where you should go, but it saves us from spending the morning driving around when conditions are less than perfect. These two pieces of information, along with years of local knowledge, give us an advantage to find the very best conditions so we can give you the best day on the river.